I saw them standing there before I even stepped off the stage after my Opening Keynote session at TBEX Cancun with Dr. Martha Honey. More than a half-dozen employees of Dolphin Discovery– the captive dolphin facility that offered “Swim With Dolphins” tours at the Moon Palace Resort– stood in a semicircle, looking uncomfortable. 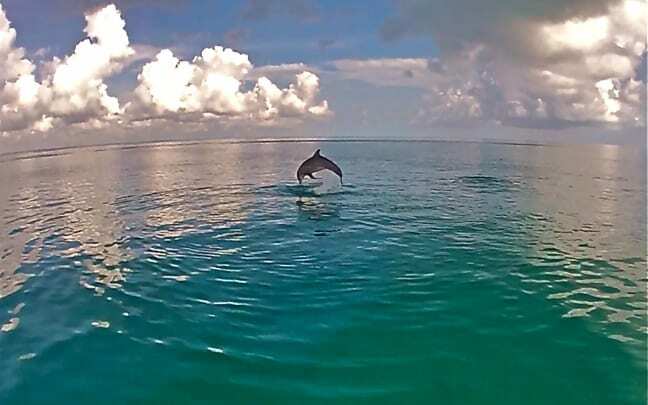 For those who missed the drama, in July 2014 it was announced that the tours being offered to travel bloggers attending the TBEX Conference included a “Swim With Dolphins” tour at a Cancun dolphinarium. Blogger Matthew Kepnes called for a boycott of TBEX, with hundreds of other bloggers and concerned travelers signing his petition. TBEX honcho Rick Calvert was unyielding and unapologetic, saying that bloggers should behave like journalists and make their own decisions. We eventually entered the fray (which we were unaware of because we’d been traveling, and had not planned to attend the Cancun conference) and convinced Cancun Tourism to cancel the tours. 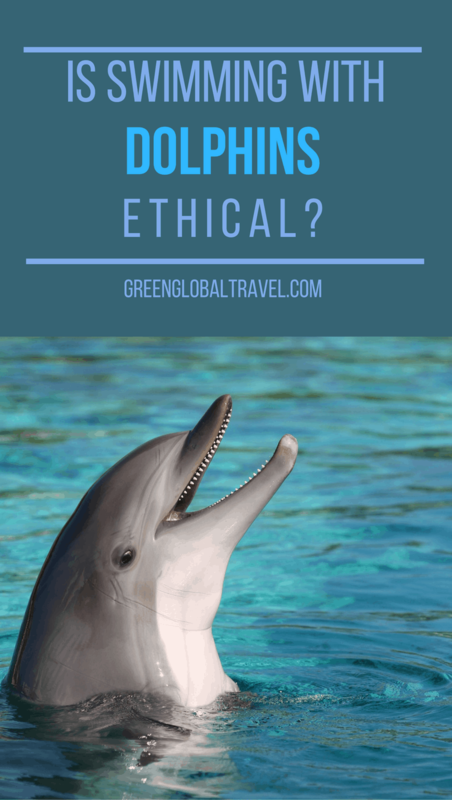 In the midst of the controversy, we were invited by TBEX to appear alongside Dr. Honey– founder of the Center for Responsible Travel– in a keynote session to discuss ecotourism and responsible travel issues, including dolphinariums and other animal attractions. Manuel Garduno (Manager of Marine Mammal Operations), Michelle Madueno (Manager of Education & Conservation), and several other members of the Dolphin Discovery staff were there, with “Debunking the Myths About Dolphins in Human Care” brochures in hand, to invite us to tour their facility and learn why not all dolphinariums are created equal. For diehard dolphin lovers, the debate over Dolphinariums seems ridiculous. Dolphins are not an endangered species, and therefore do not need “saving” via captive breeding. Studies have shown that captive dolphins do not do as well in tanks or pens as they do in the wild, often showing repetitive behavior or becoming aggressive to other animals and people. Captive cetacean facilities perpetuate the capture and brutal slaughter of wild dolphins at The Cove in Taiji, Japan. It seems obvious that dolphins, who typically swim hundreds of miles per day in the wild, should be free. Given the extraordinary popularity of “Swim With Dolphins” programs at the world’s 315 dolphinariums, one can safely assume that a significant number of travelers agree. Mark Simmons, author of Killing Keiko: The True Story of Free Willy’s Return to the Wild, played a key role in the attempt to save Keiko the killer whale (a.k.a. Willy). Keiko ultimately died in the wild after illness resulting from an unsuccessful attempt to integrate with wild whales. He cautions against making conservation decisions based on “a tidal wave of public emotion– the will to do good– and not on critical thinking or expertise.” He insists that the situation for the world’s marine life is increasingly dire. He believes that dolphins are suffering from environmental stress and immunological compromise resulting from the degradation of their environment. He also says that dolphinariums and aquariums are the primary source of funding for crucial conservation efforts, scientific studies and public education about these issues. 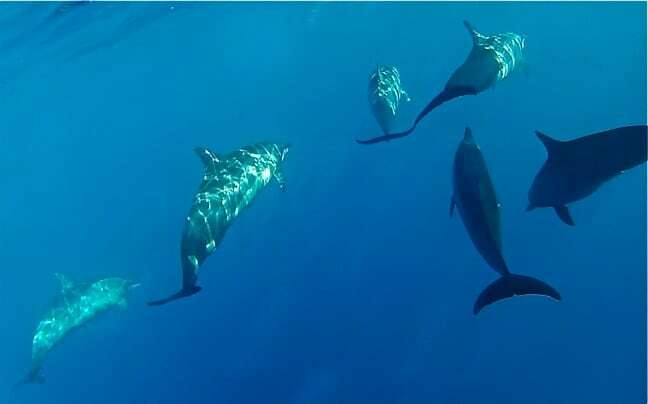 In our opinion, cetaceans should be free, and swimming with dolphins in the wild is an exhilarating, unforgettable experience. But, of the 3600 captive dolphins worldwide (141 of which are owned by Dolphin Discovery’s 14 locations in Mexico and the Caribbean), some estimates suggest that nearly half were born in facilities, and are therefore incapable of surviving in the wild. So if, for the moment, we consider dolphinariums a necessary evil, the question becomes, How can you tell a responsibly managed dolphinarium from an irresponsibly managed one? We visited Dolphin Discovery in search of answers. During our interview with Garduno, Madueno and trainer/veterinarian Marian Rend, we learned about the 12 categories on which Dolphinariums are inspected every five years in order to receive certification from the Alliance of Marine Mammal Parks & Aquariums. However, given the fact that Sea World is one its accredited members and Blackfish has clearly revealed ethical issues behind that organization, perhaps we should take AMMPA endorsement with several grains of salt. 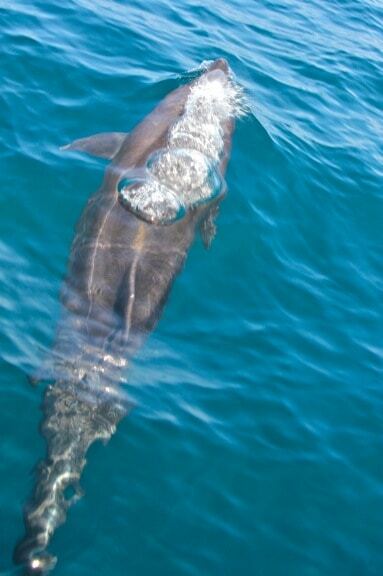 Where do the dolphins come from? The Mexican government made it illegal to import/export wild marine animals in 2004. 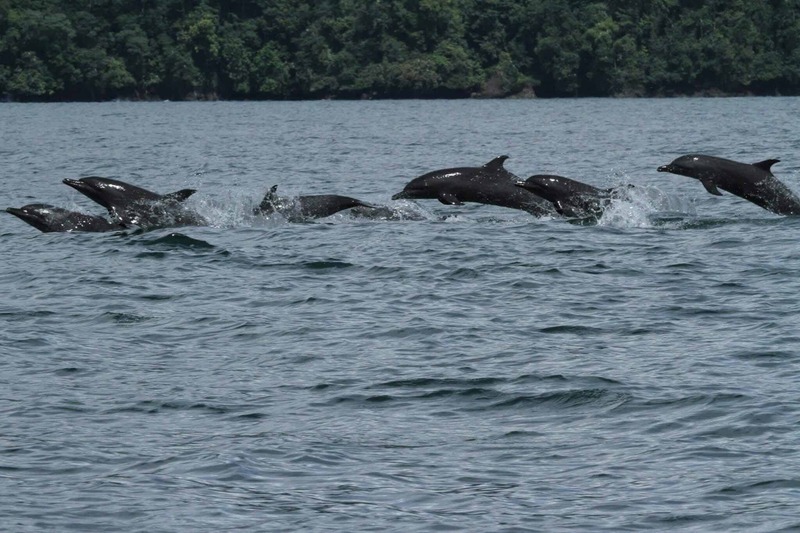 The AMMPA is outspoken against the capture of wild dolphins in Taiji and the Solomon Islands. 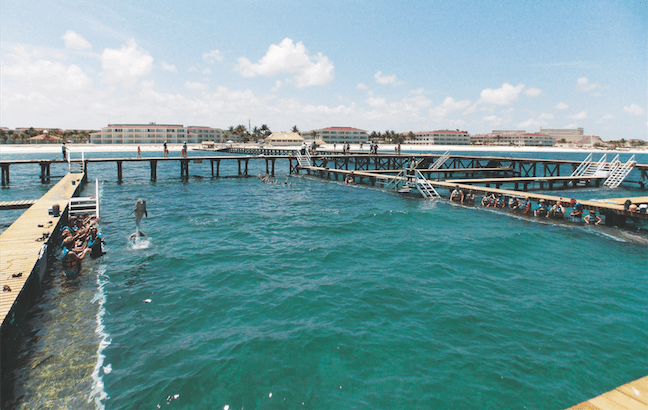 The Cancun Dolphinarium got their first 6 animals from the National Aquarium in Cuba. Irresponsibly managed dolphinariums use food deprivation and isolation of individual animals as part of their training procedures. 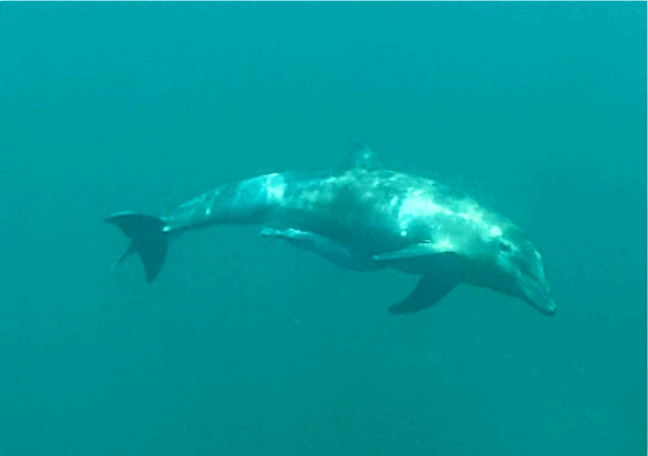 Dolphin Discovery emphasizes no stress for their animals, using positive reinforcement techniques and isolating animals only when they’re pregnant or under quarantine. One of the conservation community’s strongest arguments for captive cetacean facilities (and zoos in general). Dolphin Discovery’s education program emphasizes ocean conservation, the impact pollution has on marine life, and the importance of recycling. This involves the ways in which the animals are managed and cared for. Dolphin Discovery Cancun’s 5 marine mammal specialists give their 10 dolphins monthly health checkups, as well as testing the water quality once a month. Dolphinariums are graded on how their employees interact with the dolphins during guest encounters. We declined Dolphin Discovery’s offer to get in the water with the dolphins, so we can’t speak to the quality of their program. This concerns the facility’s captive breeding programs. Through Dolphin Discovery’s “Miracle Program,” more than 70 calves have been born successfully over the past 18 years, with captive breeding accounting for 60% of their total dolphin population. 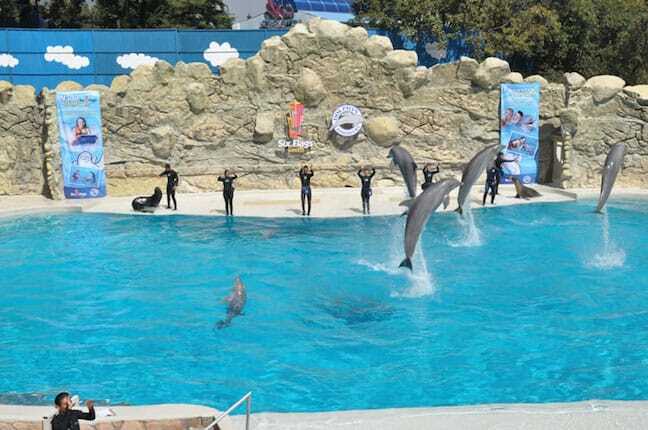 An examination of the dolphinarium’s quarantine facilities, which are used in rescue and rehabilitation. 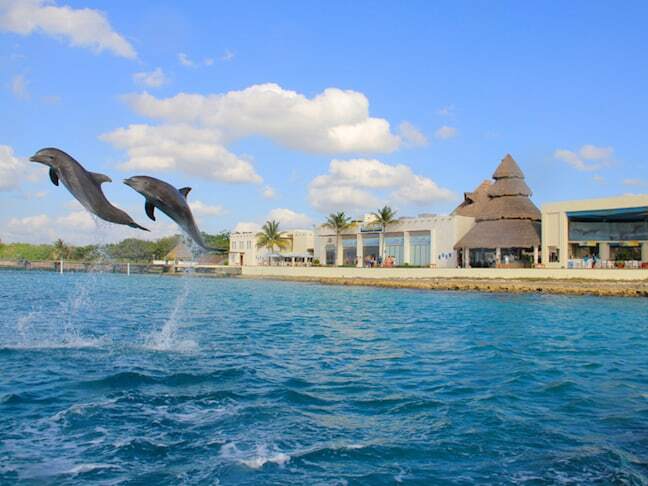 Dolphin Discovery Cancun has assisted the Mexican government in saving dolphins and manatees over the years. This one should be self explanatory. Cetacean research has led to a variety of breakthroughs on everything from Dolphin Language to Dolphin Intelligence. 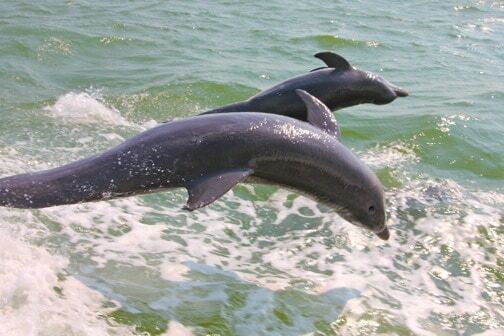 Dolphin Discovery assists various U.S. universities in their studies of dolphins, manatees and other marine mammals. Mexican law dictates that dolphinariums must have a minimum of 13 sq meters (42 sq feet) of space per dolphin. 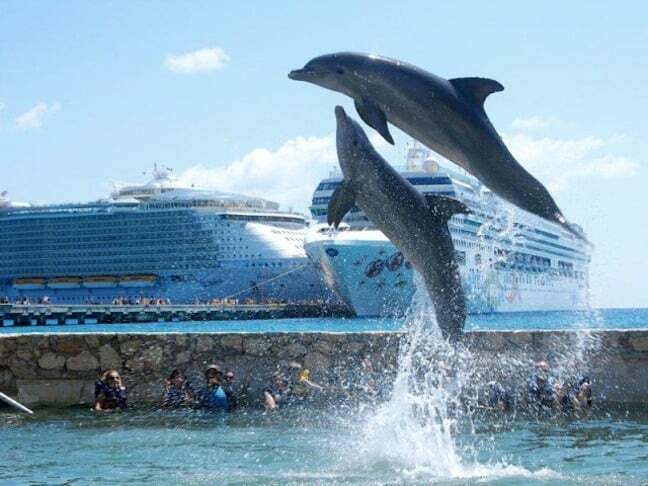 Dolphin Discovery’s Cancun staff boasted of having 39 square meters (128 sq feet) of space for each of its 10 dolphins, which are mostly kept in an ocean pen 45 meters long, 25 meters wide, and 3.5-4 meters deep. Keeping in mind that these animals swim 100 miles a day in the wild, and that the Moon Palace Resort property offers a vast stretch of ocean unused by its guests, why not expand to provide the dolphins more room? The response (from Director Claudia Sosa) was that, “In this specific case, the environmental impact study does not allow us to do a bigger place,” despite the fact that their older facilities in Cancun and Cozumel are around five times as big. This examines how the animals are moved in the case of emergency, such as when a hurricane hit the Cancun coast a few years back. Although their Cancun facility keeps dolphins in the sea, other Dolphin Discovery locations have them in chlorinated pools. The chlorine levels are monitored hourly, and staff are required to ensure that guests shower to remove sunscreen, bacteria, and any food residue before getting in the water. After more than two hours of talking to the Dolphin Discovery staff, we were eventually led out to the captive dolphin pens just as the sun set over the horizon. While Manuel and Claudia continued to speak passionately about their staff’s love of and respect for the dolphins, I watched the animals intently as they swam in slow circles, turning their heads to look at us as they went by I felt torn by my professional obligations to remain neutral, my emotional response to seeing one of my favorite species up close, and my passion for animal rights advocacy. On a personal level, I knew that these animals deserved to experience the liberation of roaming free. 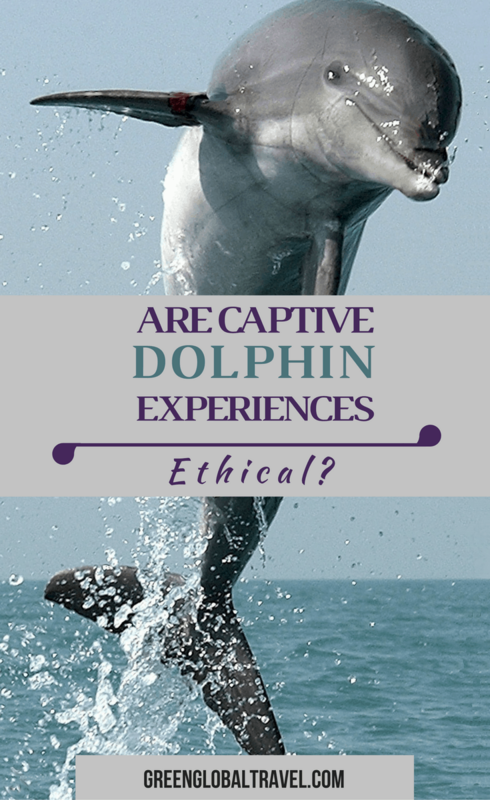 Yet at the same time I understood that this pod– the majority of which had lived their entire lives in captivity– was woefully unequipped to live outside the cage to which they were currently confined. Do dolphins deserve their freedom more than cats, dogs, cows, horses or other animals domesticated by humans over the centuries do? I don’t know. Do captive cetacean facilities, with their incongruous balance of profit-driven showmanship and conservation-focused education, do more harm than good? I can’t say. What I do know is that we, as humans, have done a lot of terrible things to this planet and the species that inhabit it, particularly over the last century. I know that if we don’t find some way to do better, many of our most beloved species will disappear within our lifetime. To learn more about the problems with Dolphinariums and other captive cetacean facilities, visit Born Free USA, Empty The Tanks Worldwide and the Care For The Wild International website.